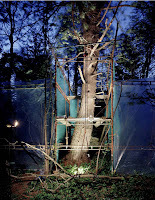 Restoration includes photographs wherein trees are provided a transparent scaffold. As all of these snaps are taken by night, the sheltered area is illuminated. 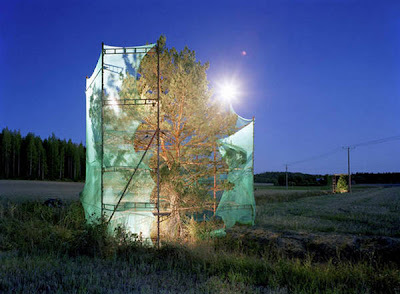 Now, isn’t it an intrusion into the haunts of nature?